Ang Dating Daan television host Bro. Eli Soriano is now an official finalist in Twitter’s very own version of the Oscars – the Shorty Awards competition. Announced on February 15, the international preacher is in the running in the prestigious social media contest that aims to honor the best Twitter users the world over. The Philippine-born preacher was nominated in the television category and ranked at No. 4 out of the 1,104 tweeted nominees in the same category and 750,000 tweeted nominations overall. As of June last year, there are 190 million Twitter users tweeting 65 million times daily, according to research consulting firm, Comscore. The Filipino preacher is currently vying for the top spot with Attack of the Show, Kurt Sutter, HIMYM Production, Psych_USA, and the children’s show Sesame Street. Bro. Eli’s Ang Dating Daan program is the Philippine’s longest-running religious program and now three decades in broadcasting in radio and television. In 2006, the program was awarded in North America as Most Informative Religious Show by Gawad Amerika. At Twitter, Bro. Eli started using the micro-blogging site in 2009 to answer questions tweeted to him by people from all over the world. Today, his @BroEliSoriano handle fetches more than 16,000 followers. Aside from Twitter, the preacher maintains his blog, esoriano.wordpress.com, which in 2009 yielded for him the Most Educational Blogger from Mashable Awards. At Facebook and YouTube Livestream, Bro. Eli hosts Bible Expositions for his non-Tagalog speaking constituents. Meanwhile, MCGI’s Vice-presiding Minister Bro. Daniel Razon who is, incidentally, also a well-known Philippine broadcast journalist and proponent behind UNTV’s “Tulong Muna Bago Balita” (Assist First Before Reporting) was nominated in the Journalist category. Razon, who is the Vice-Presiding Minister to the Members Church of God International (MCGI), is a journalist in the Philippines known for championing the welfare of local journalists by establishing medical missions for them and their families. Announcement of winners will be on March 28, 2011 during the Shorty Awards Ceremony at the Times Center, New York. 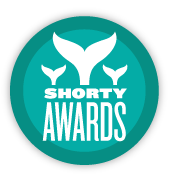 The winners will be determined by Shorty Awards‘ Real-Time Academy.